Strapline: Lavazza. The first espresso in space. 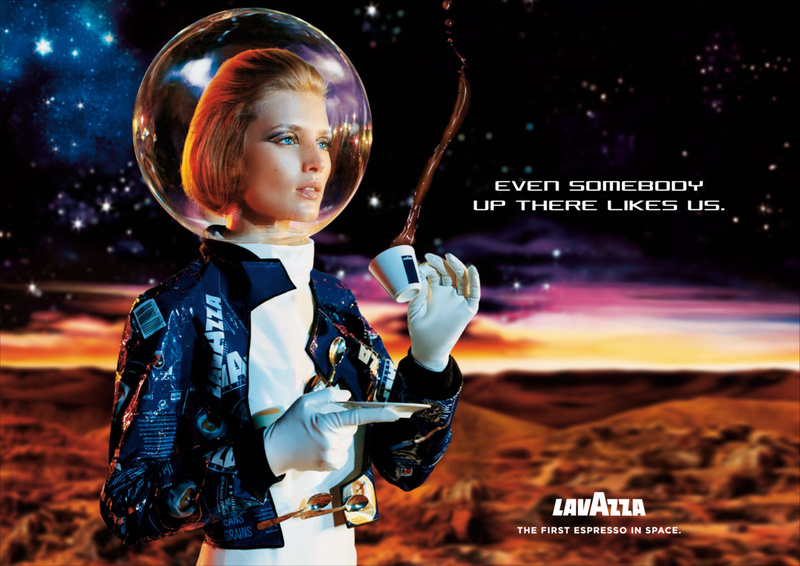 This ad for Lavazza refers to the fact that, on May 3 2015, astronauts of the International Space Station (ISS) were able to enjoy Lavazza espresso up in space.